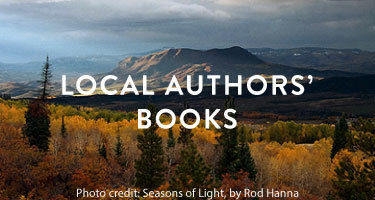 Every January, I like to start the new year by re-reading a book I really enjoyed in the past. When I picked Order of Odd Fish off of the library shelves years ago, I had no idea what sort of wild ride I was in for. Jo Larouche, a plucky young 13 year old, has lived a puzzling existence with her aunt in the middle of the desert. Her situation gets much more puzzling and bizarre when Jo is whisked off to Eldritch City, a land of fastidious talking cockroach butlers and noble ostrich steeds and general oddity that the residents regard as completely normal. A menacing and confusing villain threatens to overthrow everything that Jo loves about Eldritch City - unless Jo and her friends can stop him. This book is like H.P. Lovecraft and Alice in Wonderland combined, except with a better sense of humor. 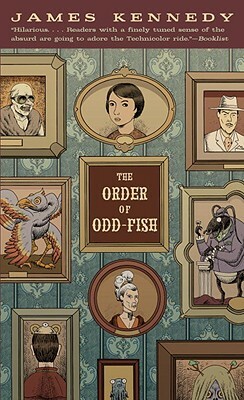 The Order of Odd-Fish is James Kennedy’s first novel. He lives with his wife in Chicago.